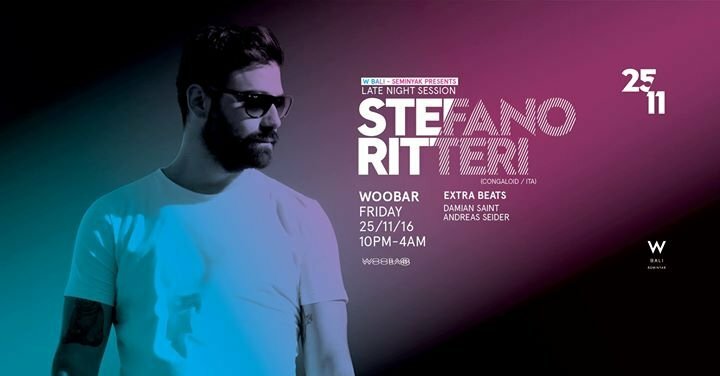 Stefano Ritteri is a true gift to music, with his Italian charm and passion he has ignited the world of house and techno. Stefano is not a new name in the game, former aliases have seen him hold residencies at clubs such as Fabric in London and release on the elite of house labels such as Dirtybird and Sound Pellegrino. More recently Stefano's label accreditation includes Pets Recordings, Exploited, Viva, Saved, Rockets And Ponies and Sincopat, this music has led to outstanding international gigs and a string of high profiled remixes. From Stefano's music affair his own Congaloid vision was born, spawning one of the hottest new labels in house music. Ritteri currently resides in London building his empire under the smoke filled city and studio space.